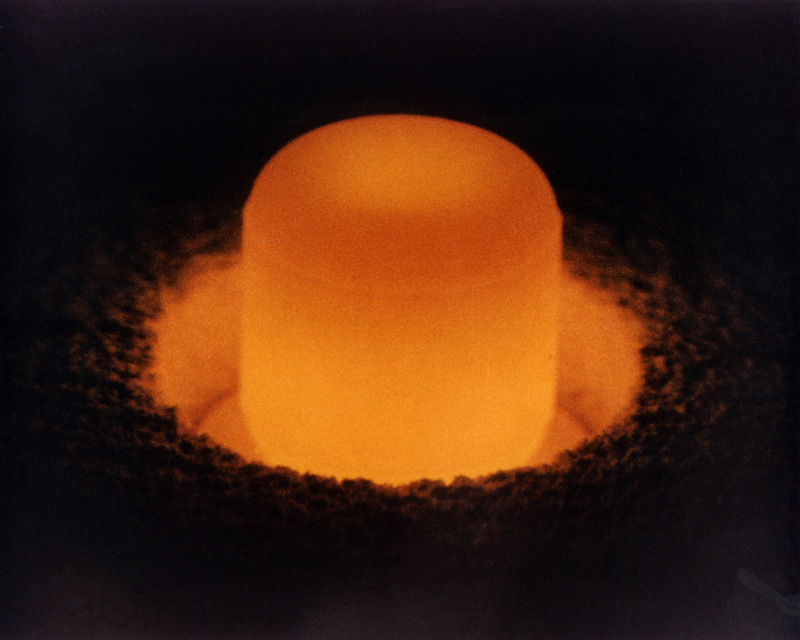 A Plutonium-238 pellet used for Radioisotope Thermal Generators (Credits: US Department of Energy). NASA has powered deep space missions with Plutonoum-238 (Pu-238) for 50 years. However, the United States stopped production of the isotope during a nuclear decommissioning phase in the 1980’s. Since then, the supply has been dwindling, with experts warning that if production doesn’t restart soon it will be impossible to conduct missions beyond Mars after 2020. It looks like that restart may now be in the works. Plutonium-238 is used to power spacecraft that travel beyond the capabilities of solar power. It is generates heat via radioactive decay in radioisotope thermoelectric generators (RTGs). Plutonium-238 differs from the isotope used in nuclear bombs, Plutonium-239, but is highly toxic in its own right. NASA’s recently launched Mars Science Laboratory Curiosity is powered by 3.6 kg of Pu-238. The Saturn probe Cassini and Pluto probe New Horizons also rely on this scarce isotope. In the United States, Pu-238 usage for spacecraft results from a partnership between NASA and the Department of Energy (DoE) which is responsible for manufacturing and controlling the substance. Although the US government authorized Pu-238 production several years ago, legislators have been reluctant to fund the initiative. In 2011, the US Congress deinied a request for funding by the DoE for the third year in a row. Some legislators think that NASA should bear the full cost of the production since that is the agency using the material. NASA has received some funding in support of Pu-238 and is funneling it to the DoE, but it is not sufficient to cover the full project cost, estimated at $75-90 million over 5 years. “Right now, I think there’s $10 million in this year’s budget and $10 million in next year’s budget, which we do plan on sending to the Department of Energy to continue the efforts that we’ve begun,” Leonard Dudzinski, a NASA program executive at a March conference. Five to six years are required to produce the first batch of Pu-238, so delays can have severe repercussions. Plans call for production of 1.5 to 2 kg of Pu-238 annually once the facility is up and running. That would be enough to support NASA robotic missions. “Now, if there were other missions that came along on the human side, then I think we would need more,” said Dudzinski. “But to date, those missions have not materialized.” In the meantime, engineers on working on ways to improve the efficiency of RTGs so that they can stretch the existing supply of Pu-238 for as long as possible, just in case.